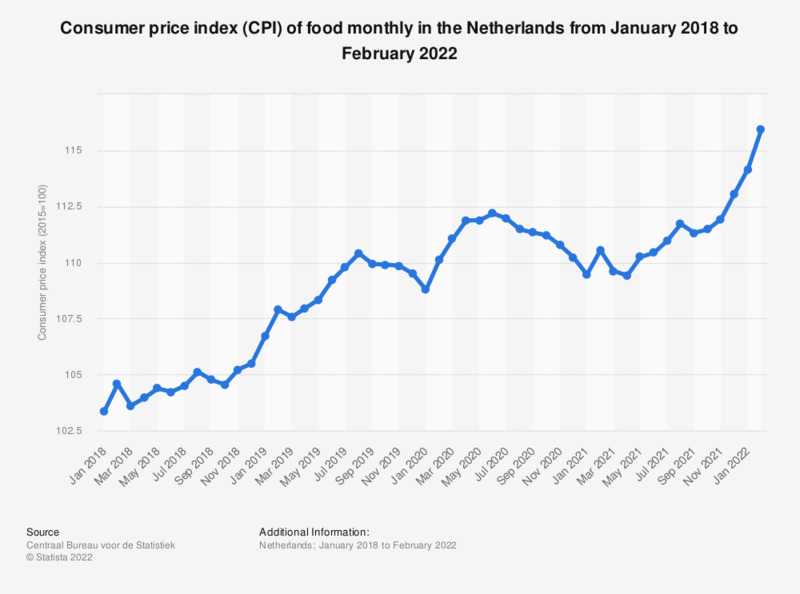 This statistic shows the Consumer Price Index (CPI) for food monthly in the Netherlands from March 2017 to March 2019, where the year 2015 equals 100. In February 2019, the index value of food was measured at 107.88, an increase in comparison to January 2019. In March 2019, the CPI was 107.57.